Colonic hydrotherapy, better known as colonic irrigation, is widely believed by detox experts to relieve a number of undesirable conditions and improve all-round wellbeing. Love or hate the idea of such an extreme treatment, take a look at what’s involved, and find out why you might, or might not benefit from a colon cleanse yourself. Billed as the perfect partner to a detox plan, colonic hydrotherapy claims to work by clearing waste and toxins from the gastrointestinal area, where many of the nasties within our bodies become stuck, sometimes for years. Trapped inside the intestinal region, toxins are able to find their way back into the blood and around the body rather than being naturally removed through our natural detoxification processes. Colonic cleansing is said to alleviate many symptoms, from bad breath to IBS, leading to a healthier and more harmonised body. Colonic hydrotherapy is performed by flushing fluid into the colon through a thin tube. When this re-emerges it brings with it waste products from within the colon and large intestine, some of which may have been lodged there for a considerable time. Undigested food, intestinal worms and mucus are among the most common substances to exit the body, and the process is believed to deep clean even the most determined residual waste. Repeated courses are recommended for maximum benefit. If you book a colonic hydrotherapy treatment you’ll want to know specifically what’s involved. In many cases you’ll be asked to insert the cleansing tube yourself, and the treatment will be made as private and non-invasive as possible. The therapist will massage your abdomen to encourage the expulsion of faecal waste but far from being painful, many people find this relaxing. The treatment is carried out cleanly and discreetly, and no, you do not have to look! A clogged up colon is thought to impact on the health of the rest of the body, and experts say it’s likely that we would all benefit from a deep cleanse. Cellulite, spots, menstrual complaints and even depression have been attributed to a congested colon, and enthusiasts make a compelling case for giving it a try. Even if you don’t have any particular health issues, brighter eyes and skin and more energy are just two of the treatment’s perceived advantages. Colonic hydrotherapy critics say there’s no scientific evidence that the treatment has any benefits, pointing out that any flushing out of the gastrointestinal region is likely to remove the good bacteria living in our gut, as well as the bad. 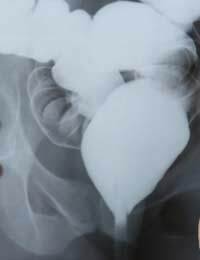 Detractors also believe that infection can be passed during treatment, and that bowel damage and imbalance can result. Sufferers of certain illnesses, including ulcerative colitis and Crohn’s disease should not undergo colonic hydrotherapy. If you are convinced by the argument in favour of colonic hydrotherapy, make sure you do you research before you book an appointment. Educate yourself so that you know exactly what’s involved and find a reputable practitioner. View do-it-yourself colonic cleansing products with caution. There are many on the market, but unless you are very confident it’s a good idea to leave this job to the professionals!